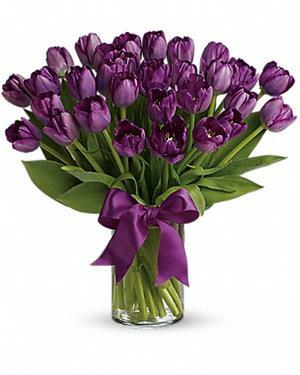 30 vibrant and springy dark purple tulips - a favorite for anyone who loves the color purple or loves tulips! You can't go wrong with this choice. Choose Four Seasons Flowers for tulip delivery in San Diego!